Mississippi John Hurt loves his coffee. But not just any brand of coffee will do. It’s got to be Maxwell House. Just a spoonful of the coffee that’s “good to the last drop” will do him as much good as two or three cups of “this other coffee” that he’s got now. But what’s really afflicting him in “Coffee Blues” are the “lovin’ blues.” His girl moved away — some people said to Memphis and some said to Leland (Mississippi). He needs to find her, so she can give him the “lovin’ spoonful” that he misses so much. Even though he can get other brands of lovin’, he’d rather have just a spoonful from his baby. John Smith Hurt was born in 1892 or 1893 in rural Teoc, Mississippi, in the Mississippi Delta, and raised in nearby Avalon. He taught himself how to play the guitar and performed for local audiences while working as a sharecropper. He made some recordings for Okeh Records beginning in 1928, but they were not commercially successful, and he returned to farming. In 1963, musicologist and blues enthusiast Tom Hoskins went looking for Hurt. Hoskins persuaded him to move to Washington, D.C., and begin performing for larger audiences. Hurt’s performance at the 1963 Newport Folk Festival attracted many new fans and helped to fuel the folk music revival of the 1960s. Hurt went on to perform on the college and coffeehouse concert circuit. The live version of “Coffee Blues” sampled for this article was recorded in a 1965 concert at Oberlin College (studio versions are also available). He recorded several albums for Vanguard Records, and many of his songs were also recorded for the Library of Congress. He passed away in 1966, only a few short years after being rediscovered. 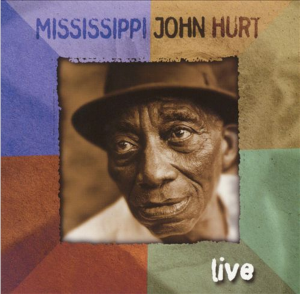 Mississippi John Hurt influenced musicians in a variety of genres, including blues, country, bluegrass, folk, and rock. Many artists, from Bob Dylan to David Johansen, Jerry Garcia, and Taj Mahal, have covered his songs. In 1999, singer-songwriter Bill Morrissey released an excellent tribute album, Songs of Mississippi John Hurt, that includes a great version of “Coffee Blues.” And in a different type of tribute, the 1960s rock band The Lovin’ Spoonful took its name from Hurt’s “Coffee Blues” lyrics. 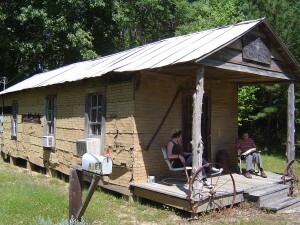 Mississippi John Hurt Museum, Avalon MS: by Matt Lancashire [CC-BY-2.0 (http://creativecommons.org/licenses/by/2.0)], via Wikimedia Commons.